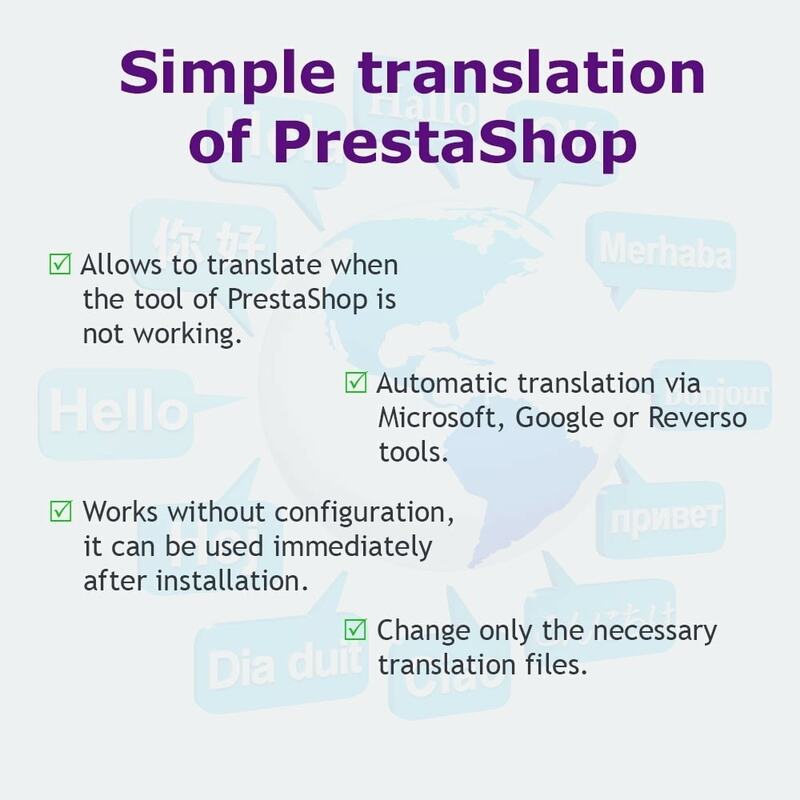 The tab Translations of Prestashop allows of translated all the elements of your e-commerce site: modules, current theme and administration panel. Regrettably it shows all these élements just like that and we find ourselves with a form of several thousand fields to be translated (about 2500 for the translation of modules on an installation by default). This causes of course numerous problems, the page is heavy to load, with difficulty manageable and even heavier to record. It is not rare that the browser jams at the time of the recording or that the server refuses simply to treat the request (PHP 5.3.9 or extention Suhosin). More over since the version 5.3.9 of PHP, PHP refuses by default the forms of more than 1000 fields. What makes the tab Translations unusable on the servers up to date. This module solves those problems. 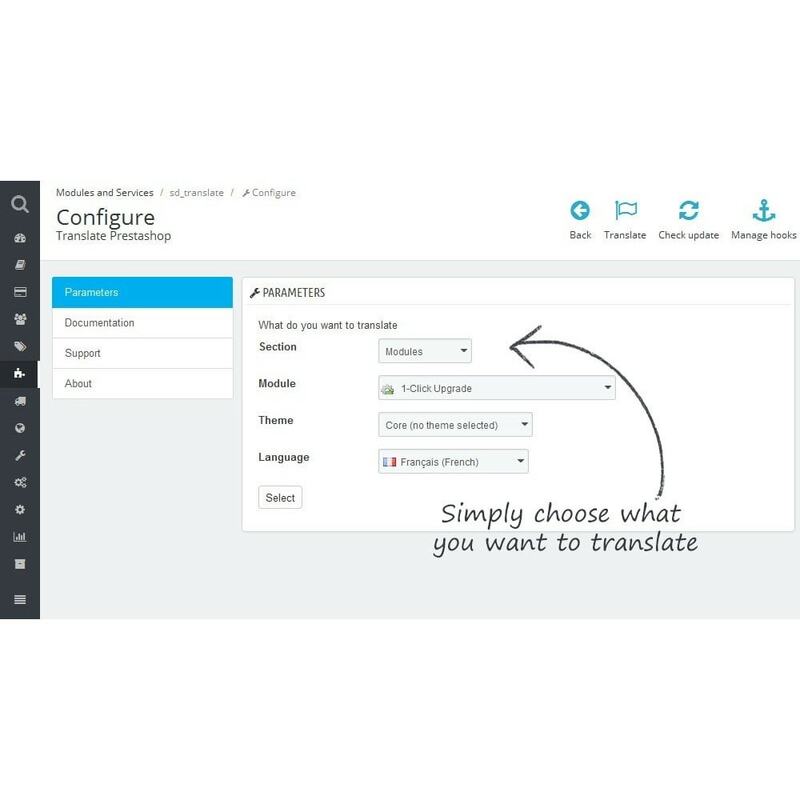 Instead of treating all the translatable elements of your administration panel (more than 3400), it shows only those of the tab whom you want to translate. Also for your theme and modules. By treating at the most some tens of fields at the same time, this module remains fast to load and compatible with PHP 5.3.9 and the extention Suhosin. Finally the interface was improved with regard to that of the tab Translation for an easier use. This module can translate the elements of your theme, the administration panel and your modules without overloading either your browser or your server. 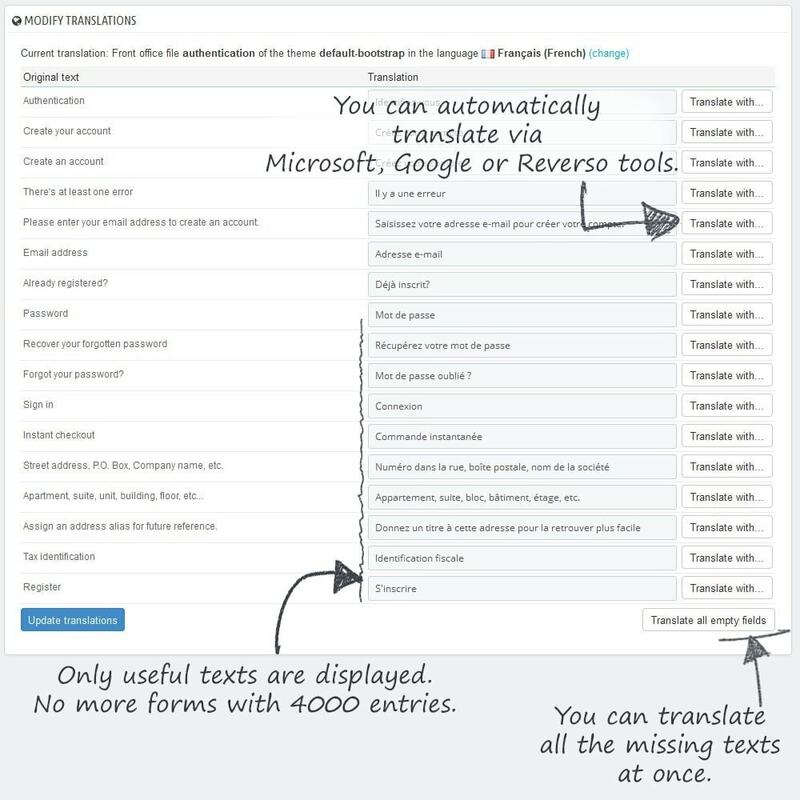 More over, it can display the suggestions of translation by Reverso, Google translate, Microsost Translator (Bing) and Yandex translate what makes save a precious time. 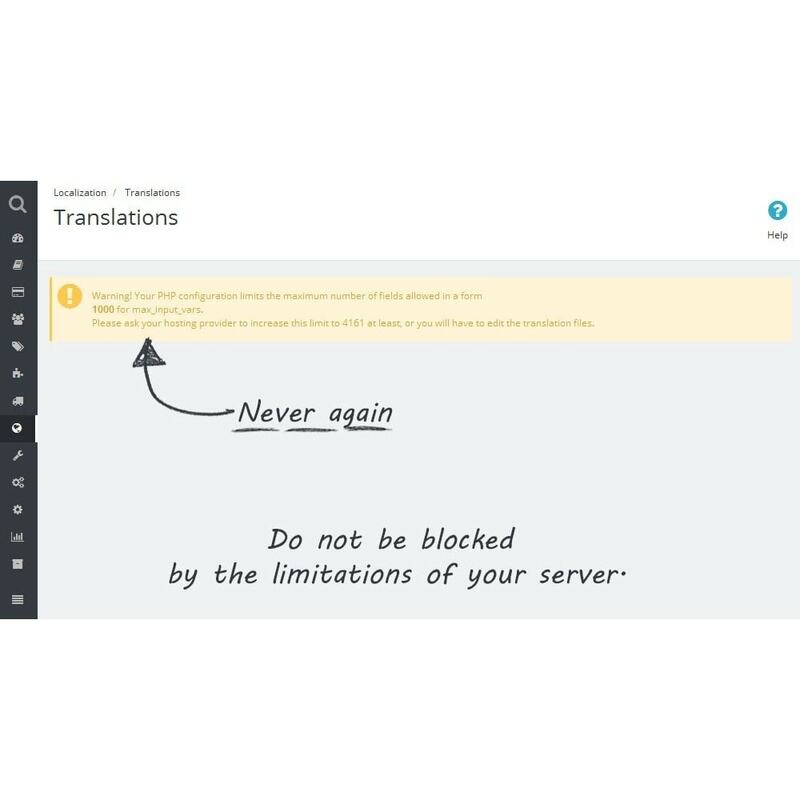 This module replaces the links of translation in modules' configuration pages to avoid using the Translations tab. Please note, this module doesn't translate products, categories or CMS pages, it translates modules, theme and administration texts.